The annual London Guitar Festival organised by the International Guitar Foundation & Festivals (IGF) is going to be super charged this year. As well as featuring the Gerardo Núñez Quintet with Carmén Cortés (Friday 26 October 2018, Kings Place), Ana Vidovic (Saturday 27 October 2018, Kings Place), and Margarita Escarpa and Paco Seco (Sunday 27 October 2018, Kings Place), there will be the London International Guitar Competition with the Semi-Final Round (Friday 26 October 2018, at Royal Academy of Music, 3pm). 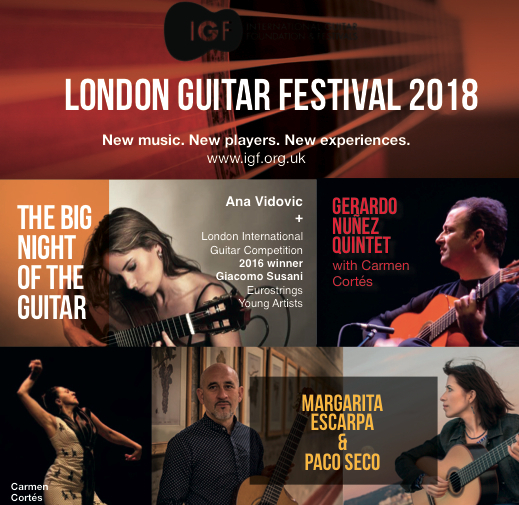 The Final Round (Saturday 27 October 2018, Kings Place, 6–7.15pm), is part of The Big Night of the Guitar, which will also feature the winner of the 2016 London International Guitar Competition, Giacomo Susani and two IGF commission premières: Graham Lynch’s Waltz Cocteau for four guitars and Leo Brouwer’s Concerto Grosso for guitar ensemble. In the Semi-Final and Final Rounds of the London International Guitar Competition, the set work is a new IGF commission: Marinus by Joe Cutler. The Semi-Finalists are: Alex Hart, Jelena Ratkovic, Emmanuel Sowicz, Rosie Bennet, Simone Rinaldo, and Carlo Curatolo. 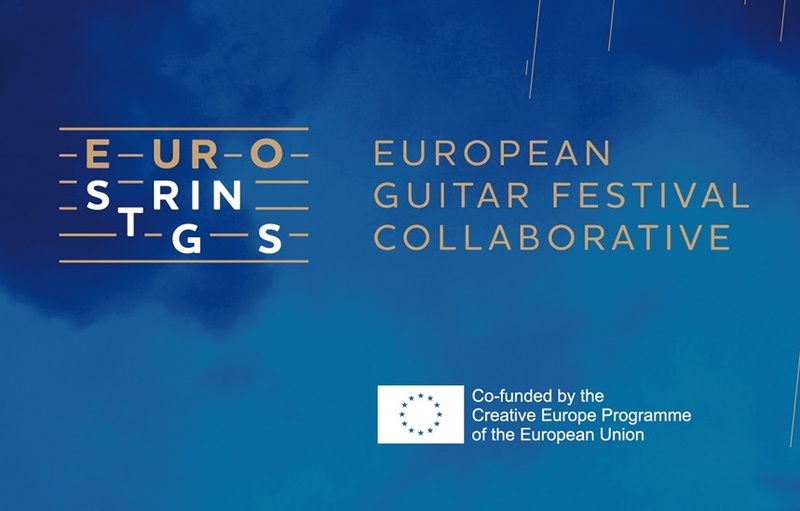 IGF belongs to the recently established European Guitar Festival Collaboration, bringing together 14 of the leading international guitar festivals of Europe. Thus, as well as the young artists in their Young Artist Platform Dimitris Soukaras and Will Scott and IGF Aspire Aswini Duo, Nicoli-Rocco Duo and Kato-Millington Duo programmes, there will be concerts by the EuroStrings Young Artists Dominik Carevic (Croatia), Boyan Doychev (Bulgaria), Péter Girán (Hungary), Antoine Morinière (France), Domenico Savio Mottola (Italy), Antero Pellikka (Finland), Andrea Roberto (Italy) and Vedran Vujica (Bosnia). The International Guitar Festival (IGF) was established in 1993 and apart from its many other activities of organising guitar festivals in Britain and promoting young artists through its Young Artist Platform, the commissioning of new works for the guitar has been one of its main objectives. There are over 90 works now in the List of Commissions. Tom Kerstens is Artistic Director of IGF. For more more details on the IGF, see my interview of Tom Kerstens, ‘Fearlessly Toward the Mainstream’, published in Classical Guitar magazine, No. 377, Spring 2015.